The St George Strollers run regular walks in St George and the surrounding areas. Walks away from St George are planned so that they can be easily reached by bus or train with a local meeting point; we then travel together. 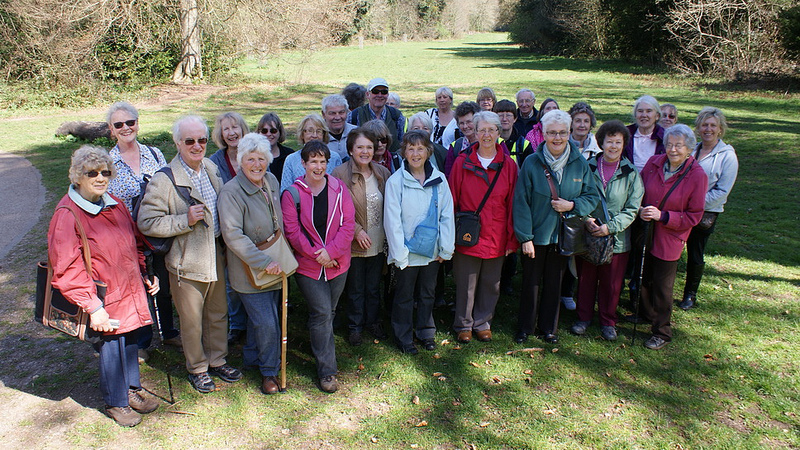 We are a friendly group and new walkers are always welcome. 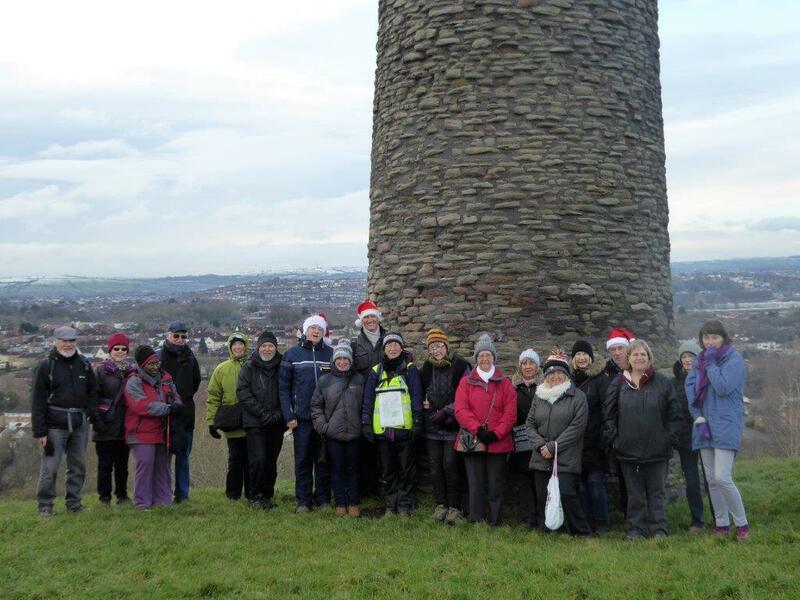 The group was set up by Friends of Troopers Hill in May 2011 and currently has 5 active, volunteer walk leaders supported by 8 trained volunteer "back markers". June, Susan, Liz, Peter and Andy research walks and lead them. 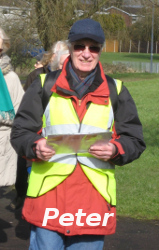 Eight other volunteers, Susan C, Anne, Julie, Richard, Lynn, Charlie, Alan and Pat, help check the walks in advance and on the day, walk at the back of our group of walkers to help make all our walks safe and enjoyable. Behind the scenes we have Margaret and Liz volunteering as administrators and looking after a small amount of funding that covers our expenses and occasional "special" walks where we might hire a coach or the services of someone with specialised knowledge to lead us on a particularly interesting walk. We also have volunteers creating our leaflets and posters and putting up posters in 21 locations around St George. Walks are free of charge, but on some walks you may need money for bus or train fares (see walk leaflet). Often there is an opportunity to visit a café at the end of the walk. 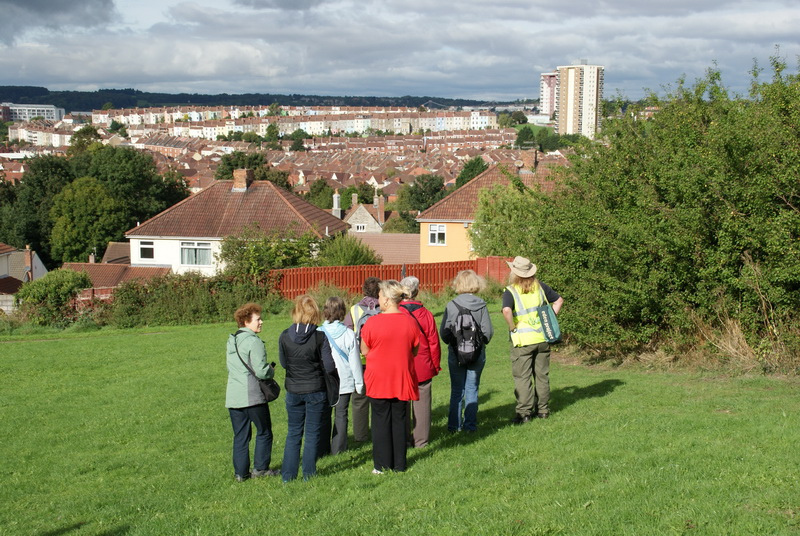 To have an idea of the wide range of Walking for Health opportunities do watch the Walking for Health in Bristol - 10th Anniversary Video. It gives lots of inspiring examples of Walking for Health groups in Bristol making a difference. If you would like to become a walk leader just talk to one of the six walk leaders listed above. Who can come on a walk? Walks are open to all and everyone is welcome. Walking can help you get more physically active in a safe, enjoyable way whatever your abilities. 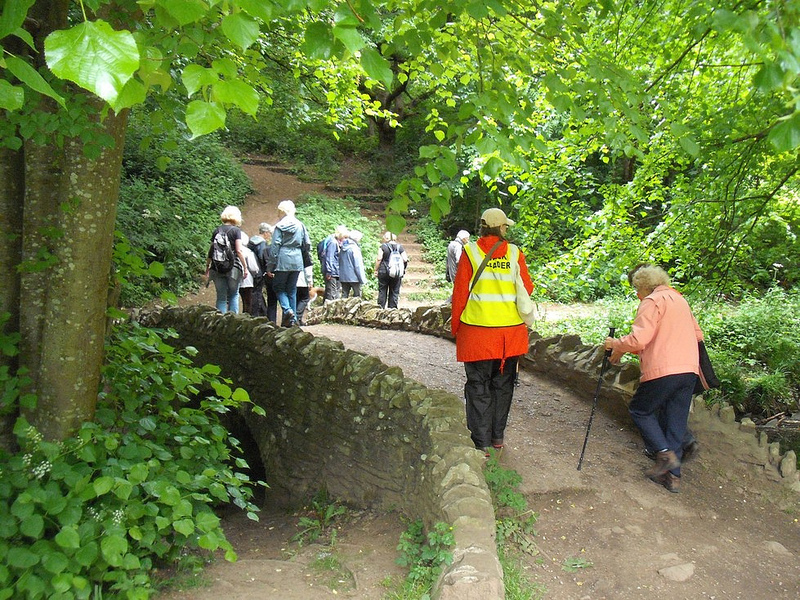 It’s also a great way of getting to know your local neighbourhood and making new friends - which is the main reason that many of our walkers join us. Please contact if you are new to walking with us or have additional needs. Please arrive ten minutes early if you are joining us for the first time for a one-off registration. Our walks usually last about 90 minutes and vary in length but would be unlikely to be over 3 miles. Our walk leaflets give information on the length of the walk, whether there is likely be mud or rough surfaces to walk on and an idea of the steepness of any slopes. Stiles are very occasionally included in our walks. Look out for the stile symbol in our leaflets. Walks are taken at an easy pace, with plenty of time to admire some of the sights along the way. The walk leaders have always walked the route in advance and usually have some interesting information to pass on as we walk round. Sometimes local experts join us to pass on more information. Some walks have refreshment stops part way round and many of our walks finish near a café so that there is the option to have a coffee (or lunch) before returning home (see walk leaflet for details). When the St George Strollers first started we would always include a shorter option part way round a walk but no-one ever wanted to take up the option. We would be very happy to start doing this again if people asked us to do so. There is a Tuesday weekly walk of up to 1 mile, the St George Park Stroll, run by Link Age, starting from the Beehive Centre, Stretford Rd. at 10.30pm if you are recovering from illness or injury or just want to improve your fitness. How often do we walk? 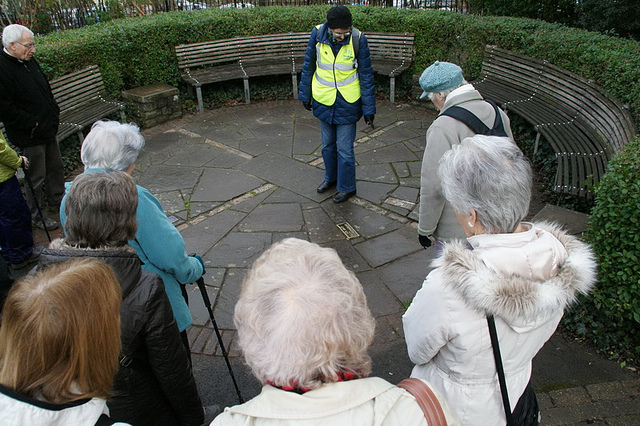 We provide one or two walks per month and on varying days of the week from Monday to Friday so that people with regular commitments on a particular day can find a walk in our programme. Walks are mostly in the mornings with occasional evenings in the summer. Our running costs are small, mainly travel costs (usually bus fares) for walk leaders checking and leading walks but also includes publicity, hiring a venue for two walkers' meetings a year, printing materials for use on walks, topping up first aid supplies and any other expenses directly related to a walk. We get help with our running costs from Walk for Health Bristol and have raised some of our own funds. This means that at the moment we are able to run the walks free of charge. In 2014/15 we worked with Sovereign Housing Association to increase access to local walking opportunities. As a result Sovereign granted £1,100 for the Strollers to develop and lead a series of free, child-friendly walks made particularly accessible to Sovereign residents but open to all. The funding also meant that Sovereign residents in the Pile Marsh area received copies of each quarterly programme of walks and their community noticeboard was kept up to date with news and maps and photos of the walks. 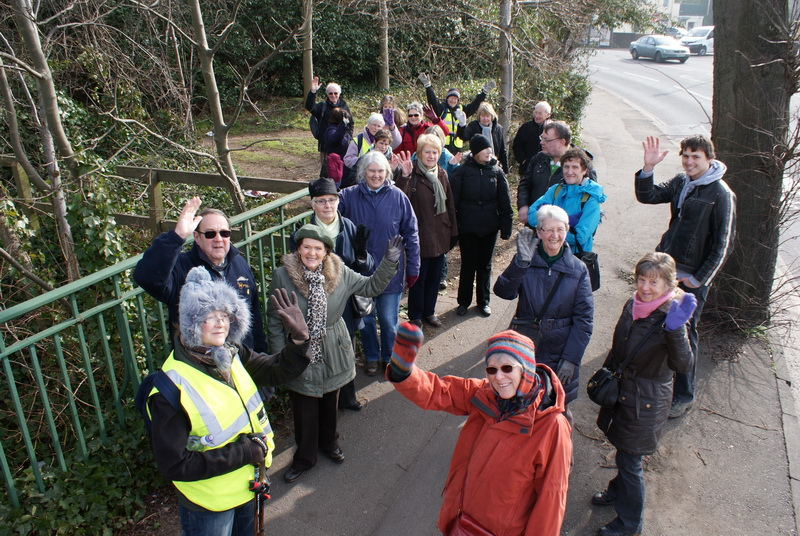 The St George Neighbourhood Partnership provided funds for special walks in 2014 to attract new walkers and provide additional interest for existing walkers. Funding for our first two years was from the Quartet Community Foundation and the St George West Community First Fund. 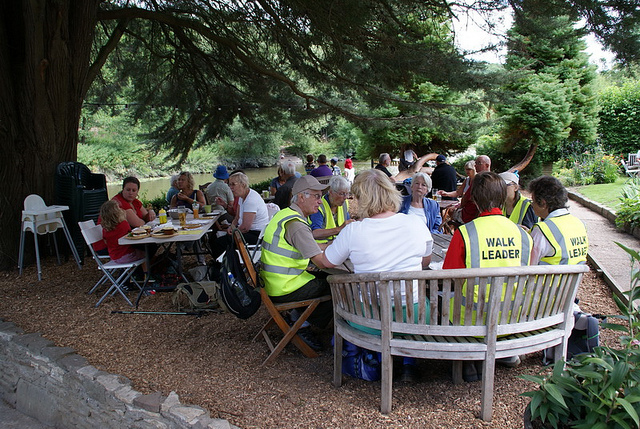 To check that we are providing the walks that walkers want, to share news and make decisions affecting the group, there is a slightly shorter walk at Christmas and at the end of May, ending at a venue where we can sit down and have an informal meeting with light refreshments. It was at one of our early meetings we agreed whether dogs could join our walks or not. As a group the walkers decided that only one dog, on a lead, could be on any walk and their place must be pre-booked. Please ring the contact number on our walk leaflet if you would like to book a place on a walk for your dog. Guide dogs are always welcome, but please contact us to check that the walk is suitable. We take photos of all our walks, so walkers can share these with their families and friends and people interested in our walks can gain an idea of the type of walk we do. Photos of almost all our walks can be seen on www.flickr.com/wfhsusan. If you do not want to be in any photos just let a walk leader know. How do I find out about future walks? Future walks are always listed on www.troopers-hill.org.uk/events. Posters are put up in 21 locations in St George. You can also go on our emailing list. If someone has not attended one of our walks for 6 months we remove them from our emailing list to avoid having an ever increasing email list but we will always be happy to add anyone again. Our walk leaders always carry paper copies of our 3 month programme of walks for anyone who does not have internet access or who is joining us for the first time. We hope to see you on a St George Strollers Walk soon.